CEVA is a supply chain management company that specializes in freight management and contract logistics. The focus is on the specialized needs of their clients, who represent the many business sectors that are served. The company prides itself in being an equal opportunity employer. There is no option to download an application form online, but please see the CEVA application link at the bottom of the page to begin your job search. The company’s origin can be traced back to the 1940’s, when Ken Thomas created Thomas Nationwide Transport (TNT). This Australian start-up company began with one truck and eventually became a global organization. While TNT specialized in contract logistics, Eagle Global Logistics (EGL) – a company based out of Houston, Texas – had gained international recognition as a leader in freight management. 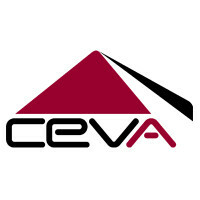 The two companies merged in 2007, and CEVA was born. The young company has a global presence, with locations in over 170 countries. It is the largest freight company in the U.S. Its 42,000 employees are encouraged to cultivate an environment of exceptional service and professionalism. The work environment is one characterized by hard work, creative thinking, teamwork and passion. The employees are expected to bring their best, going the extra mile to ensure the customer is satisfied. Because CEVA serves such a broad range of clients, diversity is a focus in regards to employment. The company promotes an environment of inclusion and fair treatment for all. Employees must be capable of working alongside a diverse group of colleagues. Programs are currently in place to encourage recruitment regardless of gender, disability status or sexual orientation. The company provides a variety of management opportunities. Managers are required to oversee a wide breadth of company functions. Whether your goal is to manage an entire branch or to manage a specific department, there are several positions to consider, including: General Manager, Operations Manager, Quality Manager, Account Manager and Project Manager. If you are not seeking a management position, there are several mid-level positions that require moderate experience in the field, as well as entry-level positions that require little experience. Some of the mid-level positions include: Supervisor positions, Customer Service Representative, Admin Clerk and Business Analyzer. Entry-level positions include: Material Handler, Dispatcher, and Operations Clerk. How old do you have to be to work at CEVA? There is no particular age requirement, however, a high school diploma or equivalent is preferred for all positions. Also, even for the entry-level positions, a little job experience in the field is required. For these reasons, it would not be likely that the company would hire a candidate who is under the age of 18. The work place is multicultural and energetic and employees are provided incentive packages, benefits, and opportunity for career advancement. The company emphasizes forward thinking amongst its employees, and wants its people to be passionate and knowledgeable about the field. Working for this particular company gives employees the opportunity to work for one of the leading companies in the industry. Business occurs around the clock, providing plenty of opportunities for potential employees. There are many day jobs, which take place on site. There are positions that require little to extensive travel. If you need to work the night shift, there are positions available in the warehouse that would allow you to work during those hours. You can get more information about local CEVA jobs along with the free online application process using the company’s site. The process for how to apply for CEVA jobs online doesn’t include a printable application form for CEVA. However, you can set up an account with a profile that includes your personal information, job history, resume and cover letter. Use the search tool to find vacancies and follow the prompts to apply for jobs at CEVA. Although there is no CEVA job application online, this is an effective way to send your direct application to recruiters. General Manager – As a general manager, your main goal is to ensure that the customer is happy. You’ll work with the customers to ensure their satisfaction and you’ll strive to secure ongoing business with the clients. You’ll ensure that profit goals are met, and that employees are thoroughly trained to meet the needs of the customers. You’ll strive for improvement and provide conflict resolution as needed. Operations Supervisor – An operations supervisor’s priority is to ensure the warehouse department is operating efficiently. You’ll work closely with the employees in your department, training newcomers and delegating tasks as needed. You’ll keep track of the quality of the daily work that is conducted and note any improvements that need to be made. Customer Service Representative – As a customer service representative, you will be specializing in the freight department. Your tasks will include: tracking deliveries, processing requests, notifying customers of any shipping issues, data entry and preparation of financial documents. Material Handler – As a material handler, you will work primarily in the warehouse. This position requires physical work, such as lifting heavy equipment, sorting and distributing various materials, keeping the work area tidy and receiving packages. Employees may be trained to use heavy equipment. Why are you interested in this job? You can be ready for this answer by doing some research on CEVA careers ahead of time. If you are unfamiliar with the company, go to their website and become familiar with their principles, core values and history. That way, you can explain the things that strike a cord with you, which will make it more likely that you’ll establish a connection with your interviewer. Why should we consider hiring you? This is your time to shine. Talk about what makes you special, the qualities that set you apart from the crowd. Give a summary of your experience and skills and speak passionately about how your skills will benefit the company. Additionally, it would be helpful to research what CEVA expects of their employees and then to discuss why you have what they’re looking for. For example, on the company’s website, it is mentioned multiple times that CEVA’s employees are highly committed, so now would be a good time to highlight your strong work ethic. Be sure to give examples for every skill you mention. CEVA is looking for positive, energetic people who work well in a team, so smile and show that you’re happy to be considered for the job. Be clear and concise with your answers, and be confident. Make eye contact, demonstrate politeness, watch your body language and be professional. When the interview is complete, your interviewer will likely ask if you have any questions. Be prepared ahead of time. Think of a few open-ended questions (not about salary) about the position that will encourage conversation between you and your interviewer. By having questions of your own about the job, you are demonstrating authentic interest in the company. Also, inquire about the best way to check up on the hiring status. Remember to thank your interviewer for taking the time to meet with you. Be quick to offer a firm handshake and a broad smile. Wish the interviewer a good day and make sure that you walk out with good posture. All of these things should leave your interviewer with a positive image of you. J.B. Hunt: Visit the J.B. Hunt application. NiSource: See this page for jobs at NiSource. Kiewit Construction: Checkout the application page for work at Kiewit Construction. Dole: For employment at Dole visit the application page. Time Warner: See this page for jobs at Time Warner.